Famous for her luxury bags and quirky accessories, iconic Brit designer Anya Hindmarch has been responsible for many an ‘it’ bag in her day. But, in a huge plot twist as part of her AW18 collection, Hindmarch has released a limited-edition range of candles, aptly named ‘Anya Smells’. Candles, how bland, you think. But these are not just any old room scents, guys, these are the kind of candles you plonk smack bang in the middle of a room and show off to all your mates. The kind you collect simply because they look so. Freaking. Gorgeous. 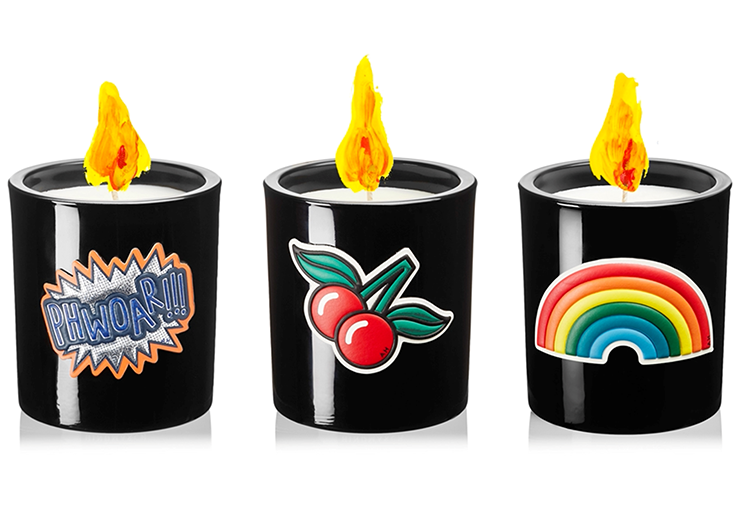 Available in 12 different scents that evoke happy memories for the designer—think sun lotion, toothpaste, lip balm and coffee—these gorgeous hand-poured candles come encased in black glass adorned with stickers straight from Hindmarch’s 2017 accessories collection. Get your hands on these beauties in Aus, here, and NZ, here.